Securely and permanently erase files and folders. 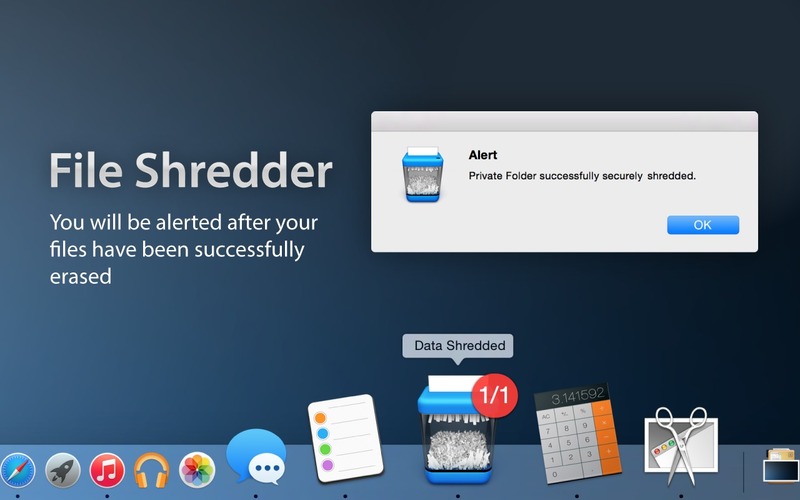 Is there a better alternative to File Shredder? 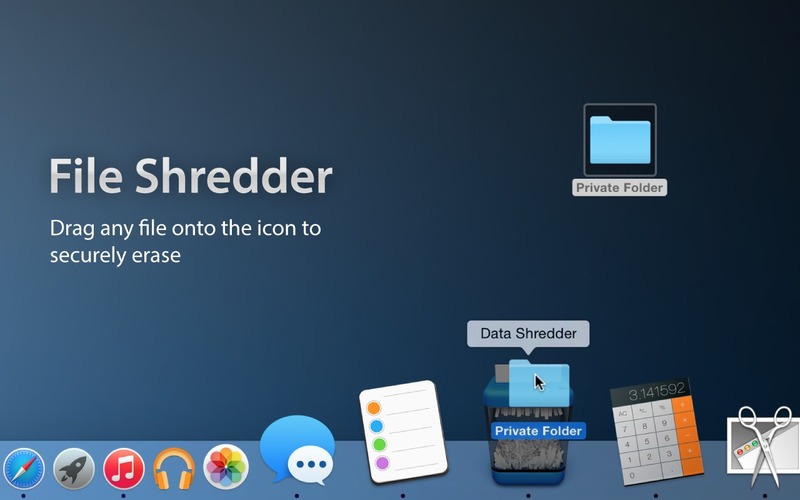 Is File Shredder really the best app in Applications category? 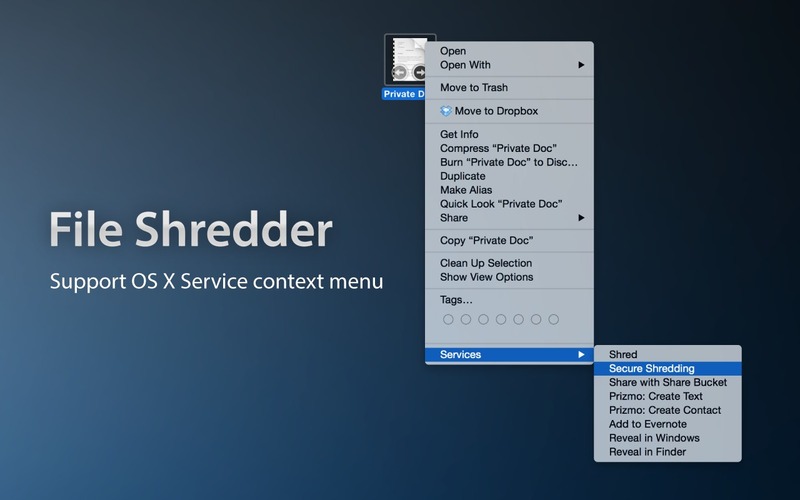 Will File Shredder work good on macOS 10.13.4? 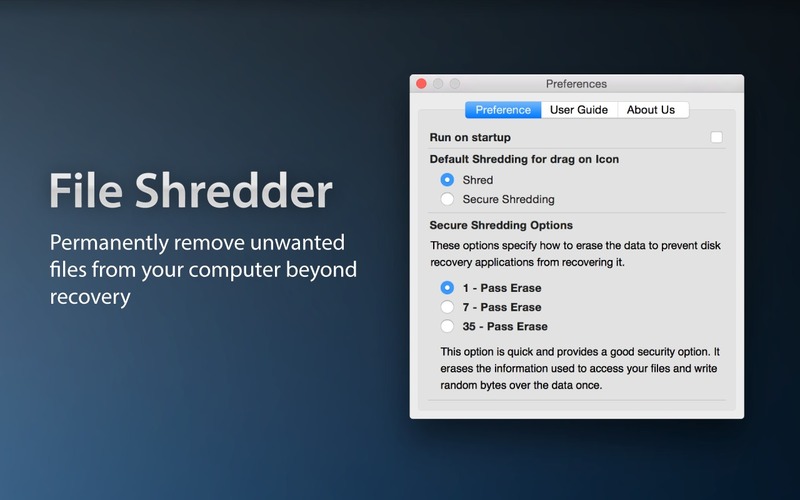 File Shredder helps you permanently shred files and folders from your system. It ensures your information is secure and impossible for anyone to retrieve. 1 Pass Erase: This option is quick and provides a good security option. It erases the information used to access your files and write random bytes over the data once. File Shredder needs a review. Be the first to review this app and get the discussion started! File Shredder needs a rating. Be the first to rate this app and get the discussion started! 7 Pass Erase: This option takes 8 times longer than"1 Pass Erase" and provides better security option. It erases the information used to access your files and write over data 7 times based on US Department of Defence (DoD) 5220-20 M standard algorithms. 35 Pass Erase: This option takes 35 times longer than "1 Pass Erase" and provides the best security option. It erases the information used to access your files and writes over the data 35 times based on the Gutmann method for deletion.